Unlikable characters that were one-dimensional caricatures. I'd heard good things but it wasn't the book for me. Some books make you feel smarter. This is one of them. Did you know that Wisconsin once had 38 time zones? Now you do! 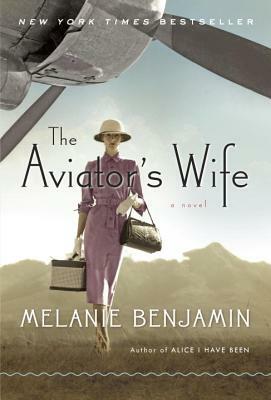 Thanks for sharing your thoughts on The Aviator's Wife. I think I will pass on this one now. I too had been seeing a lot about it and thought it would be a good read but alas there are too many books and not enough time for mediocre ones. 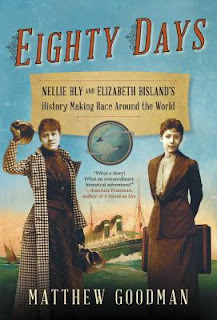 I haven't heard about Eighty Days but I am adding this one to my list! I was excited to read it because I love learning about real people. But Charles came across as an unrelenting dink and Anne was wimpy in the extreme. They didn't seem like real people at all. :( Bummer! Eighty Days is a great read, very informative! Thanks Isi ;) I have fun doing these! 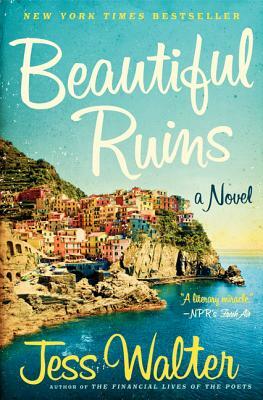 I had been thinking about Beautiful Ruins but I wasn't sure enough to read it. Now I definitely will!! Lol, I also love the graphics today! Wisconsin had 38 time zones? WHAT? I love the graphics, especially the genius guy. I think he's on drugs. You can thank train schedules for whittling down all the time zones ;) It was insanity before that! Good gravy, get some caffeine woman! But yes, do read Eighty Days. It's chock full of groovy info! I need Eighty Days ASAP-- exactly my cup of tea. My mission for the day! Yay! I love hearing that! I hope you enjoy it! I read a fantastic book about the Donner party a long while back. It was told from the point of view of one of the women in the party. Oh my gosh, what was the name of that book!? Done and done. Thanks Jennifer! Oh my gosh, I love the animated gifs peppering this post. LOL!! :D Thanks Monika! I have so much fun finding these! I've been on the fence about all of these, leaning to ward 'no for The Aviator's Wife and The Beautiful Ruins. Now I'll keep one and scrap one - thanks for the help deciding! I only hope I haven't steered you wrong Debbie ;) Thanks so much for visiting me! Oh gosh, Eighty Days is totally on my TBR list. My IRL book club has been throwing it around, so I'm trying to wait it out but I want to feel like that man! I don't blame you! Please scrawl the word genius somewhere on yourself as well, lol. Loved Beautiful Ruins! It was one of my top 10 last year. And the Donner Party was soooo bad it was good. 38 time zones? I really want to say 'blimey' lol. I'm interested in that book, actually I wouldn't mind reading the others as well, but Eighty Days appeals the most. Blimey! That's a great word :) Malarkey is another, lol. I think you'd like Eighty Days! Sorry The Aviator's Wife didn't work for you - I loved it. I'm sorry too, I really wanted to like it. I think I should seek out a nonfiction book about Charles and Anne Lindbergh. These gifs crack me up as usual. I read and enjoyed Eight Days by Matthew Goodman very much too! Thanks ;) I'm glad you liked that one too! Ha! I love the gifs. A gif is worth a thousand words! Oh, I LOVED Beautiful Ruins -- and I would totally go to see that fake movie, too! :) That was such a great read. In fact, I've been trying to find another read on that level for months... and alas, none yet. I really want to see that fake movie SO BAD ;) I hope you find another fantastic book soon Meg!